The Regina Pats will get a doozy of a challenge Tuesday when the Calgary Hitmen roll into the Queen City as part of Western Hockey League on Access action. 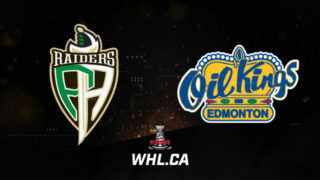 Deceptively ranked as the second wild card team in the WHL’s Eastern Conference, the Hitmen are riding a 7-3-0-0 record in their past 10 games and have posted a respectable 4-2-0-0 record in the province of Saskatchewan this season, with both losses coming understandably against the Prince Albert Raiders. Tuesday’s meeting will mark their first of the season to the Brandt Centre, with another scheduled for late February to close out the season series. After winning six games in a row, then losing three-straight games, the Hitmen are back in the saddle with a two-game winning streak. 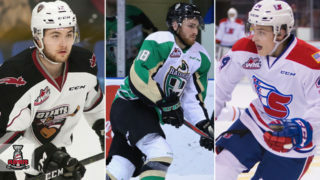 Led by captain, 2019 NHL Draft prospect, and 30-goal scorer Mark Kastelic, the Hitmen have quietly impressed in the areas that matter, sitting third in goals for in their division, while being the only Eastern Conference team, and one of two WHL teams overall, to rank in the top six for power play and penalty kill. Countering the Hitmen will be a Pats’ team that earned three of four possible points over the weekend in a home-and-home series against the Brandon Wheat Kings. Dean McNabb played the biggest part in that success for the Pats, recording the first shutout of his WHL career Friday in a 4-0 win. With Max Paddock out indefinitely with an illness, McNabb will be the go-to guy in the crease down the stretch over the team’s final 19 games of the season. Much has been made of the offensive success of Austin Pratt and rookie Riley Krane, and rightly so. However, the contributions of 19-year-old Sebastian Streu have also been key to the Pats this season. Since joining the Pats in mid-November 2018, Streu has put together a modest 15-point campaign, with 10 points (5G-5A) in the month of January alone, tied for the team lead. That marks a new career-high for the winger from Manitoba. The Pats will also be looking for a repeat of the first meeting of the season series, where the Pats earned a 4-3 overtime victory in Calgary. 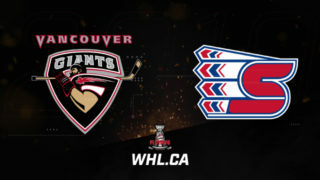 Tune in Tuesday night to catch the Hitmen and Pats battle it out from the Brandt Centre!